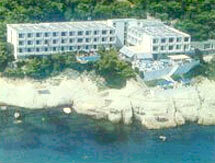 APOLLO HOTEL is a hotel, where you will feel completely free. You are welcome as you are, in your sportswear or bathing clothes. 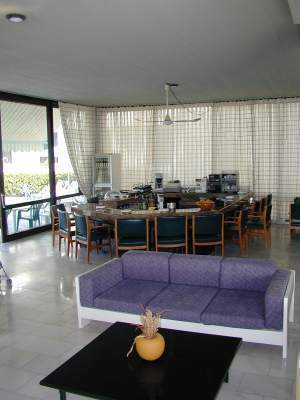 You surely will appreciate the highest comfort in all common rooms. 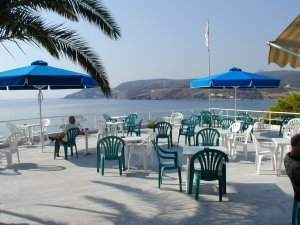 Beside our hotel and its entertainment Agia Marina offers various possibilities to enjoy the night-life, in taverns or in night clubs. 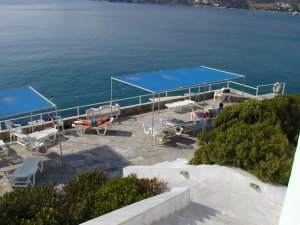 The Apollo Hotel has 107 rooms with all comfort and with a fantastic view to the special beauties of the island. One hundred of the rooms have their own balconies. Especially we want to point out our big swimming pool, the tennis courts, the minigolf, boats for water ski and the natural green garden. Our restaurant offers specialities of the Greek and international cuisine.